HoLeeS is a gigantic subwoofer driver with spectacular properties. Have you reached the audio evolutionary stage where only the best and most extreme can get your attention? - Then you're ready for HoleeS. The HoLeeS-15 is a 50kg ultra-high impact shock-wave generator that easily hammers any LFE material out in exact detail- with no compression at explosive sound levels. HoleeS is the ultimate combination of dynamic surplus and detailed reproduction. HoLeeS is a tour de force of how advanced design and technology can come together to create superior sound quality. All aspects of the design have been perfected to the smallest detail, resulting in truly revolutionary woofer performance. HoleeS is capable of an incredible 4" excursion. With excursion of this magnitude, HoleeS produces levels of bass unattainable by conventional woofers. The extreme excursion ability coupled with the unique suspension makes HoleeS extremely transient proficient. Even a light touch on the cone, easily moves it several centimeters. This ease of movement combined with the ultra-powerful magnet system results in a spectacularly fast and precise response. 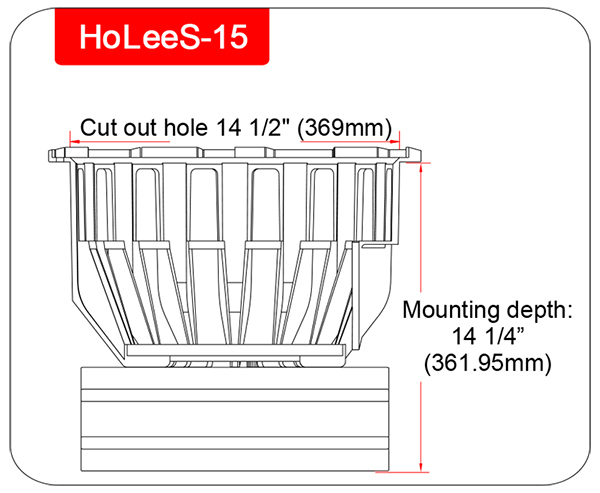 HoleeS is free of the mechanical and electrical constraints inherent to common woofers. 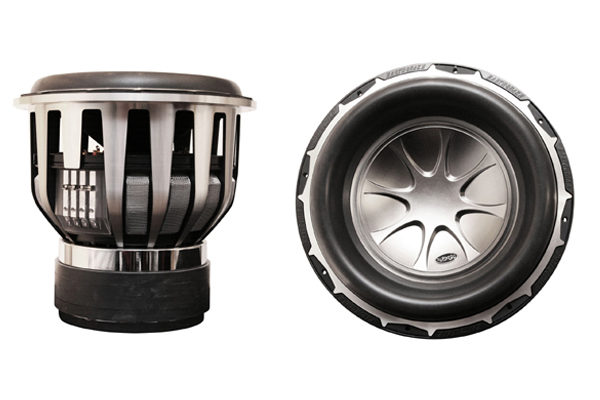 HoLeeS is equipped with a unique voice coil of incredible proportions. 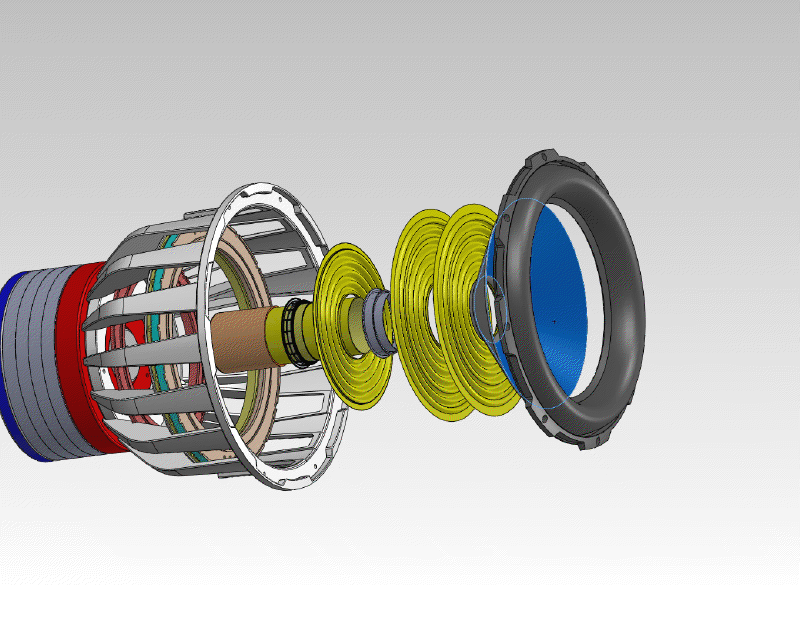 The voice coil has a winding height of over 4 "(10 cm), this results in identical electrical and mechanical x-max. The colossal winding height results in record electromagnetic coupling, this ensures against compression even under extreme use. The strong electromagnetic coupling increases the working impedance and enables the use of high-voltage amplifiers as higher voltage potential can be exploited. The voice coil former (the cylinder to which the coil is wound) is made of aluminum, not cellulose (cardboard), Kapton ® or fiberglass. The use of aluminum prevents hot-spots on the voice coil - due to the superb heat conductivity inherent to aluminum. In essence the entire voice coil becomes one big heat sink. To further enhance voice coil strength the super strong ultra high temperature Lava based adhesive originally developed for the Subzero is used to bond the voice coil to the former (See the Subzero documentation for detailed info). Also borrowed from the Subzero is the unique anodization insulator for the coil wire. Signature technologies such as the Quad-Helix winding scheme has evolved for use in the new HoLeeS. The Quad-Helix design requires a very advanced production process. The Helix design is unique because it allows identical electromagnetic coupling and thermal signatures of two voice coils. In a conventional subwoofer with dual voice coils, they are wound one on top of the other, resulting in asymmetrical electromagnetic coupling and heat dissipation capability. The Helix structure is free of these limitations, since the two coils are wound synchronously in-phase. The Helix wound voice coil is characterized by several obvious advantages - perfect electromagnetic coupling, identical thermal signature, lower distortion, higher performance and durability. The voice coil is comprised of four (Quad) layers of edge wound oxygen-free copper wire. This special copper wire is of the flat-wire type. Flat-wire has a much greater surface area than conventional round wire and can thus dissipate considerably more heat it. Another advantage is the coil can be wound closer - increasing motor power. The coil assembly meets mil-std specifications for temperature resilience - specifications set by the U.S. Department of Defense for use in military equipment. This guarantees peak performance even during hard and continuous operation. HoLeeS is equipped with the patented TCT (Turbine Cooled Transducer) technology. TCT creates cooling airflow similar to a tornado around the voice coil. The tornado is created by air forced through cooling channels milled in a vortex structure. Traditional voice coil cooling is done by drilling out the pole piece and the woofer stroke then pushes air back and forth. This cooling scheme only has a linear increase as a function of woofer stroke. TCT is different - TCT creates an exponential increase in cooling capacity as a function of woofer stroke. This is achieved by harnessing the centrifugal forces in the mini tornado to increase surface area contact between the air and voice coil. TCT is so effective that the voice coil temperature is reduced 50% compared to the same woofer without TCT. This prevents heat derived compression and keeps the woofer at maximum efficiency.. The compression is a result of the increased electrical resistance of the voice coil - the higher the temperature, the higher the resistance. 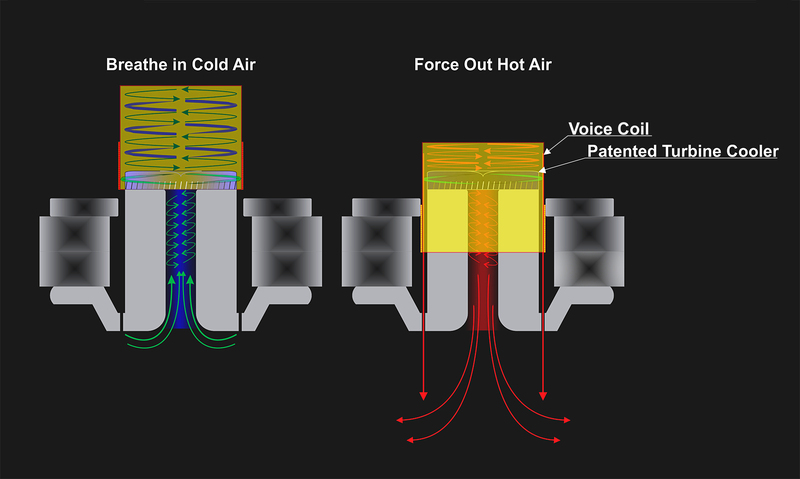 Since TCT's cooling capacity increases exponentially with excursion, heat is not allowed to build up. The harder you drive HoleeS the more it cools itself. For HoLeeS our unique SWE (Super Wide Edge) suspension design has been enhanced by the use of Poly-Ether draw material. Sporting an extreme curve height of 62 mm the stage has been set for incredible excursion. The manufacturing of this advanced suspension is a complex process spanning several stages. Poly-Ether draw is used primarily in military applications because of its high strength and flexibility. The sophisticated and costly processing requirements has so far limited its use outside the military. Thanks to the obsessive high-tech emphasis by Earthquake, the entire Poly-Ether draw manufacturing process can be done in-house. As part of the manufacturing process, the Poly-Ether material is thermally pressed and laminated giving it extreme strength and mobility. The suspension geometry is of the single-layer type and allows ultra long excursion without mechanical breakup. This results in woofer stroke potential in excess of 100 mm without deformation or increased mechanical resistance.This ensures perfect reproduction of even the most bass heavy soundtracks. The HoLeeS cone is made of a proprietary non-pressed fiber reinforced cellulose pulp substance with extreme stiffness. The cone is then superimposed with a parabolic deep dish made of a strong space age polymer that obtains additional rigidity by its geometric shape. The cone does not flex or deform regardless of input power and frequency. The HoLeeS spider is of the super spider type, which means the spider has the same diameter as the cone -this ensures the spider is not limiting excursion. The HoLeeS is equipped with a quad super spider unit comprised of a Nomax /Romax hybrid material that has been epoxy coated for increased strength. The individual super spider units are arranged as identical opposites - canceling nonlinearities inherent to typical single or dual spider designs.The result is a clean sound - free from mechanical artifacts. For optimal performance the edge suspension and spider must have the same excursion potential, this is not possible with a traditional spider of limited diameter. Traditionally, the spider is glued to the voice coil, this results in heat transfer from the voice coil to the spider. This heat transfer effects the spiders compliance and can over time degrade the spider. The HoLeeS super spider is not glued the voice coil, but attached to a composite center ring that in turn is bonded to the voice coil. The special composite material is neither heat sensitive nor a thermal conductor. Thus the endurance and longevity of the HoLeeS is not affected regardless of drive level. HoLeeS is built around a gigantic magnet system. It consists of four huge Cobalt-Ceramic magnets which have been hyper magnetised in-house by Earthquakes military grade Magnetiser. The four magnets have a total thickness of 8 cm, the top plate alone is 7 cm and the pole piece is 2 cm. With a total height of 17 cm - the voice coil is given unhindered travel space far beyond its mechanical limits. This ensures that not even the strongest transient may cause the device to run out of electromagnetic coupling. At the same time the high gap height contributes to voice coil cooling, as the immense mass of metal effectively absorbs heat. The HoLeeS is based on Earthquakes signature XLT chassis geometry. It is the optimal design for extreme excursion. The XLT chassis allows for extra length between the spider (center suspension) and the magnetic gap. It is designed to accommodate oversized spiders and voice coils. The oversized and rigid chassis is made of cast aluminum which is then diamond cut. This results in an ultra-rigid and robust chassis featuring stunning good looks. The chassis is further characterized by all components of the assembly being bolted together with stainless steel machine screws. 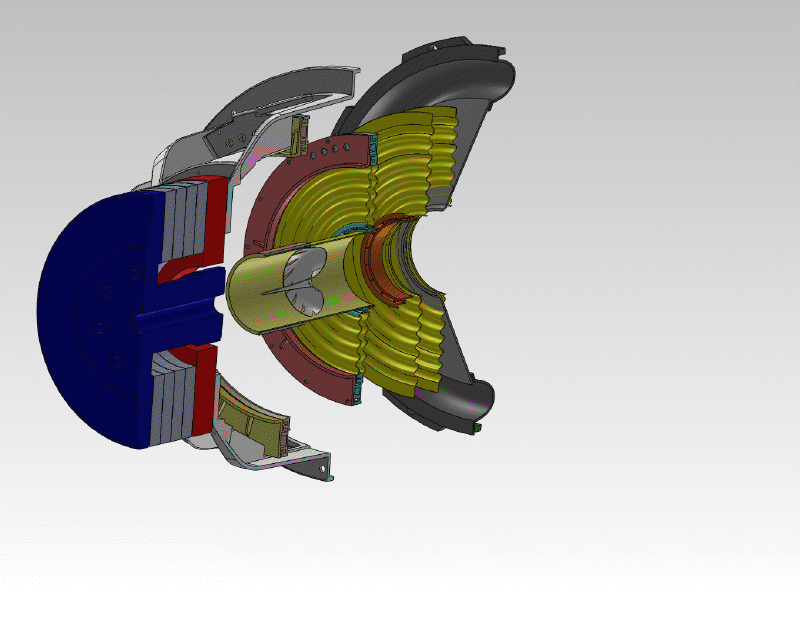 This design is extremely rugged compared to ordinary assemblies where the chassis and magnet system is often glued and / or tabbed together. The technically superior design ensures exceptional durability, sound quality and pride of ownership. TS Data Obtained using the VI-BOX high power system. Specs Measured @ 100watt rms. Standard TS is done @ 1-3 watts insufficient for obtaining data in a high excursion modern woofer.